You have insurance on your car, your health, your home, and sometimes even your life. These seem to be a no-brainer and sometimes mandatory because of their importance. 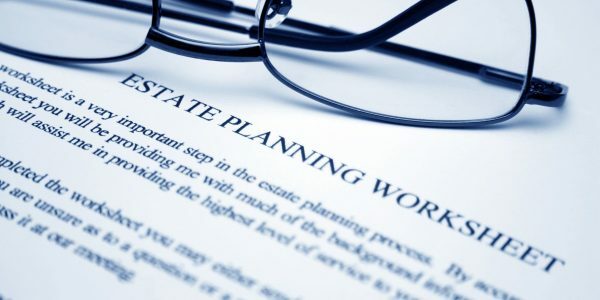 Unfortunately, about 4 out of 10 people don’t think the same way about wills and trusts. Although different, wills and trusts commonly go hand and hand, but how? When you’re no longer around to make legal decisions a legal paper you wrote up will tell others your will…see where I’m going with this? You can divide up your assets among loved ones, charity, etc. If you have children a will can say who will be their legal guardians, financial guardians, and even which kid gets which car. Wills are especially excellent with big families so that arguing is kept minimal. So, now we know who gets the china set and the furniture, but how do you just assign money to children (or anyone) and make sure they use it for the intended purposes? If you want to put your kids or grandkids through college, buy someone a house, take care of an elderly parent then you can make sure your money is set up for them specifically with a trust. You can even set up the trust for those purposes strictly in mind so you can have even more peace of mind that when you lose your life you won’t lose control to help and care for your loved ones. Whether you’re a healthy individual or have a chronic condition, chance doesn’t discriminate so don’t wait to get your will and/trust in order. You can do it yourself online or with a wills and trust attorney just to add an extra amount of sure. When it comes to your children and loved ones why would you even risk it? Make sure they’ll be taken care of today. Contact a Las Vegas Wills and Trusts Attorney from Hale Injury Law at (702) 736-5800 or via our web form for help today. Hale Injury Law is located at 2451 W Horizon Ridge Pkwy, Ste. 120, Henderson, NV 89052 (near the corner of Carnegie and Horizon Ridge) and is open 9 a.m. to 5 p.m. Monday through Friday.